At the bottom, a section of the Mount Adams Incline Railway. 8x10 inch glass negative. 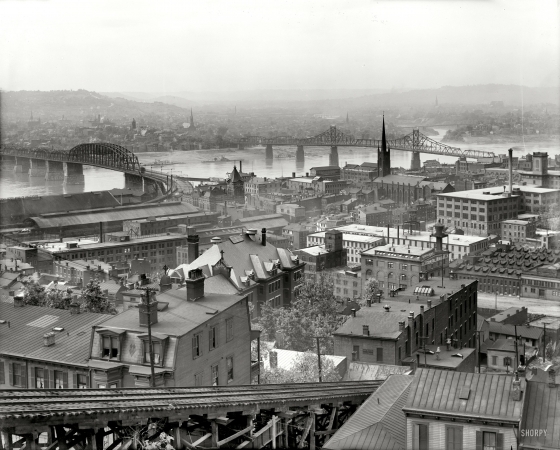 "Cincinnati from Mount Adams," circa 1909.